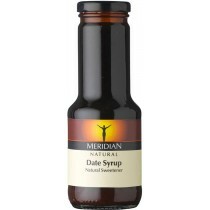 Natural Syrups: Because sweet things taste nice naturally! Our range of natural Syrups (Sirupus) are a liquified form of Sweeteners made from the finest fruit extracts and raw materials. They can provide the most unique and innovative flavours in Low GI and Gluten Free forms. From molasses to Malt Syrup, Agave to Maple, these sweet, thick liquids, they are an ideal alternative to sugar, which can be used to sweeten your favourite desserts, cocktails, iced Tea & Coffee, or soft Drinks.